Make a folder called “Pwnage” on the desktop. 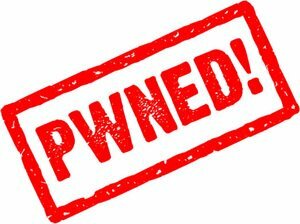 Now you need to download there PwnageTool 4.1.2 from here and iOS 4.1 firmware from here. You will be brought to the “Browse for IPSW” page. Click the Browse for IPSW… button. The Cydia settings menu allows you to create custom packages so you do not have to manually install the necessary them later. If you do not want to install anything here go to next step (seven). ULTRASN0W UNLOCKERS BEWARE!! The biggest mistake you can make (and it is a big one!) is lettings iTunes restore to the official IPSW — you’ll lose the unlock and won’t be able to go back! You must use Option-Restore, not just the Restore button by itself. Then navigate to your custom IPSW — not to the stock one! If you accidentally started a restore to the official IPSW, unplug your iPhone immediately before the restore gets to the “Updating Firmware” step! Navigate to the Pwnage folder on your desktop using the dialog window that appears. Select the custom IPSW (!) that was created and click the Choose button. If you need unlock – install ultrasn0w via Cydia, it will work if you had iOS 4.0.2 or lower before step one. Now go to Search and type ultrasn0w, click on the utility and hit Install button in the top right. You’re done! You should see the network.